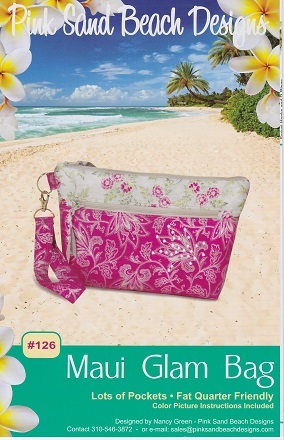 Great size for cosmetic bag, purse organizer, sewing project bag. Large outside zipper pocket, three inside pockets and easy to sew in zipper. Photos and written instructions are included in each step to make this bag fun to sew!